I know I have been missing for quite a while, that's because I recently traveled to Australia for 17 days. I have been stressed out generally before the trip, and I feel so bless that the trip came on time to throw my stresses away! 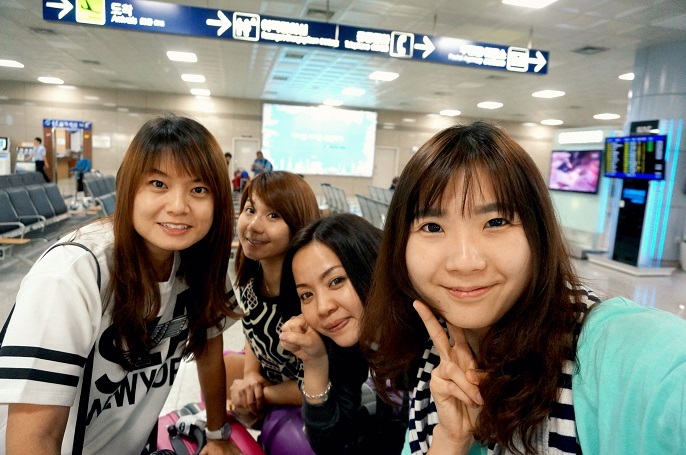 Now I am back with full of positive vibes and I am so ready to share my vacation in Korea during last year Oct. I know it's already like 6 months ago, but still hope you will enjoy the journeys that I gonna share with you all! 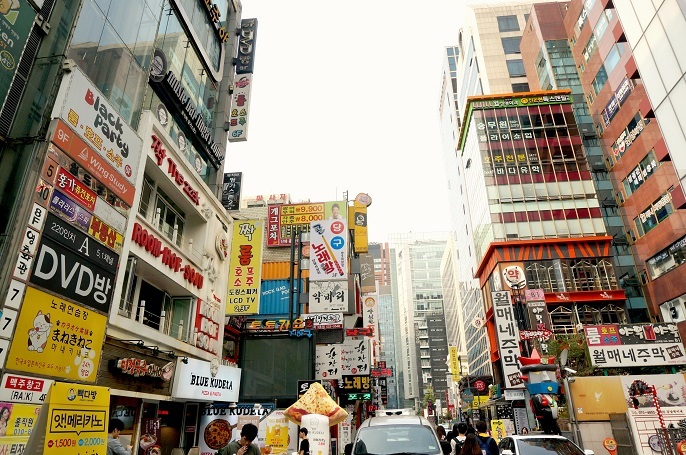 It's been 2 years since I last went to Korea, the city still looks so awesome for me! You wouldn't know how excited I was once my tickets confirmed since Korea is my top favorite country. 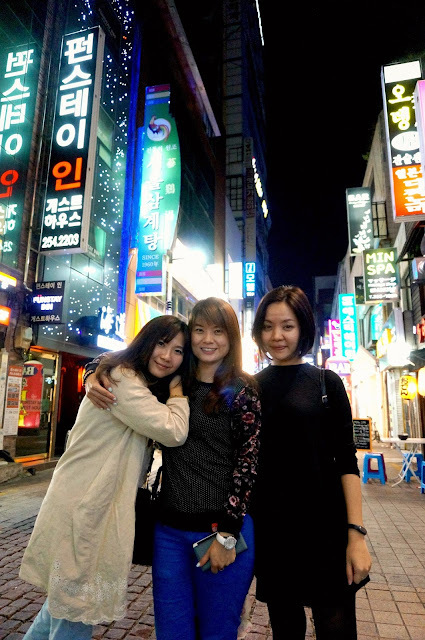 How can I stop loving Korea after so many reasons?! Me and my gfs made a spontaneous travel plan somewhere in the beginning of Oct before I head off to Turkey! Crazy?! Yea that's gonna be a crazy gfs trip ever! So, are you ready with us now?! Let's GO! 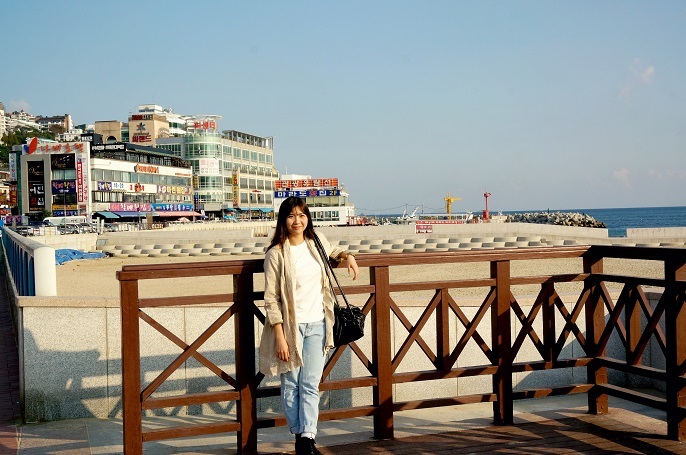 We decided to pay a visit in Busan before Seoul since we have heard so many compliments from our friends about this place. 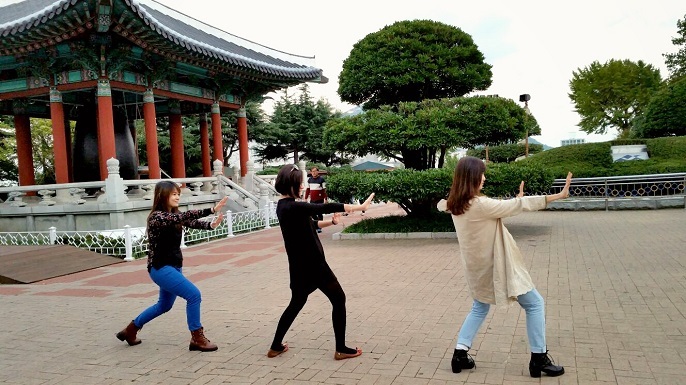 Busan is not as big as Seoul, but just as much fun as Seoul. The people there are so friendly and helpful, and it has gorgeous natural scenery! 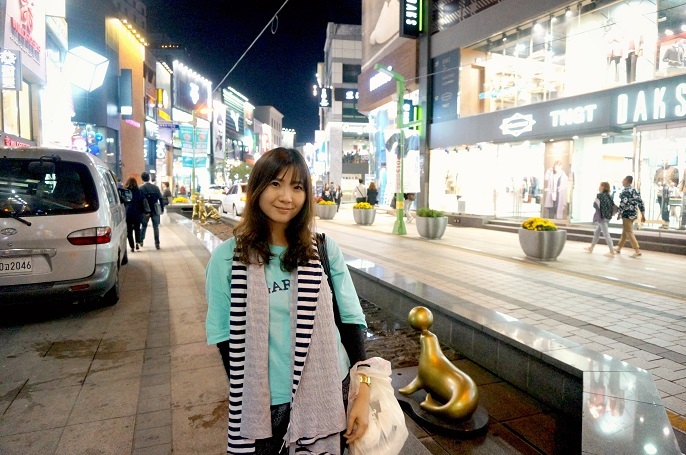 We shopped a lot in Busan and I was surprised that the clothing in Busan are much cheaper than in Seoul. 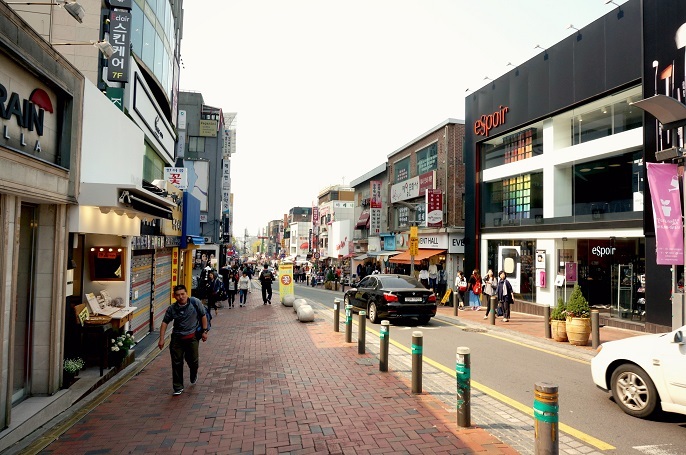 The clothing we found in Busan is at average 10,000 won, which is about RM34 based on the current rate. 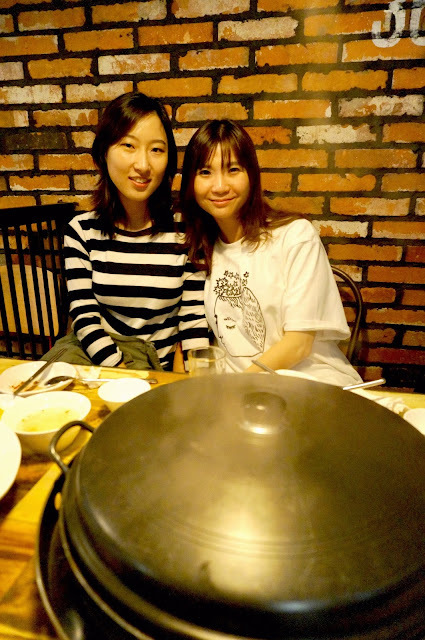 We had the Twin Pork Soup which is the top specialty food in Busan. 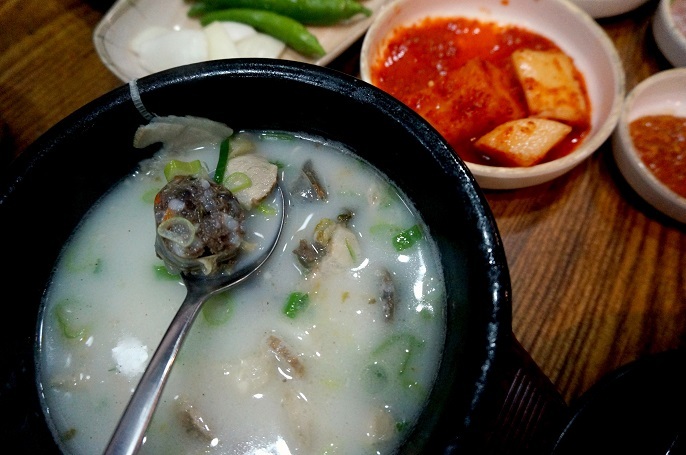 It's so good to have the clear white soup with the fresh meat when you have the cold weather outside. 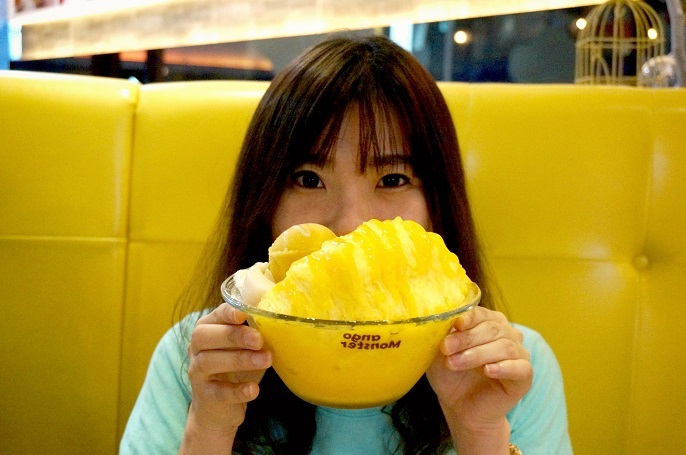 And of course, some Ice-Shaved Bingsu for our dessert in Korea! 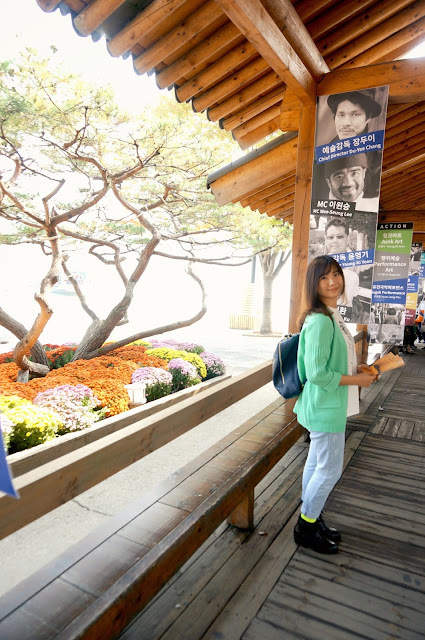 On the second day of our trip in Busan, we headed to the beautiful Gumcheon Culture Village. 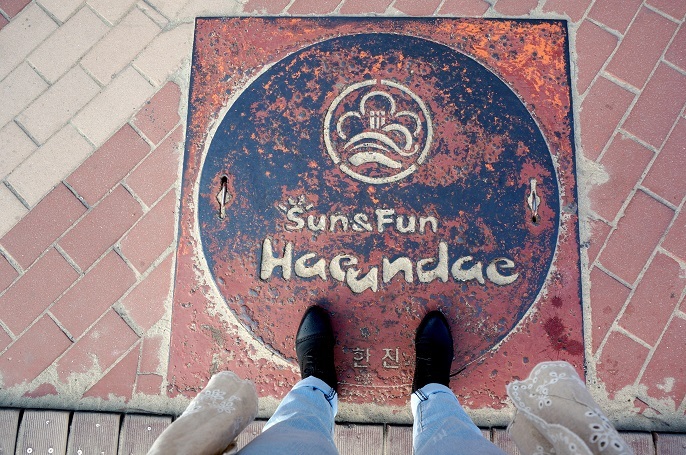 This place is the main reason for me to visit Busan actually and I was so happy that I finally make it here with my gals! 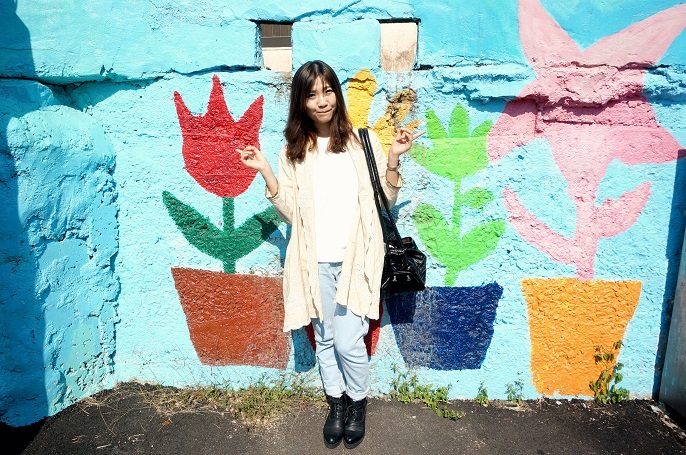 It's a beautiful plus colorful place with lots of things to explore such as unique cafe visiting, art installation, interesting painted walls, colourful houses and so on. It's definitely a nice walk here and I enjoy every single moment I have left in the village! While I was doing some homework for the trip, there are many people commented that the Jagalchi Market is well worth a visit. So, we decided to get our lunch there since taxi transfer only took 10 to 15 mins from the village. 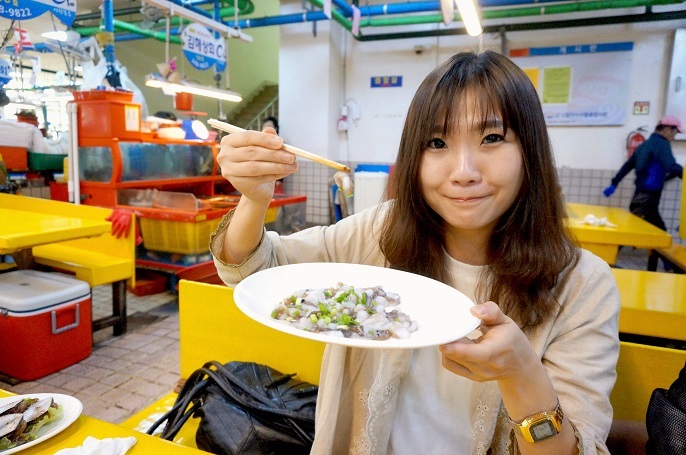 It's a real interesting market which full of all kind of seafood, and all of them are superb fresh and in big sizes. If I am not mistaken, most of the seafood catch and sell on the same day, and that's why you have no doubt about the freshness of the raw food. One of the highlight you must have it here is the Live Nakji (octopus). 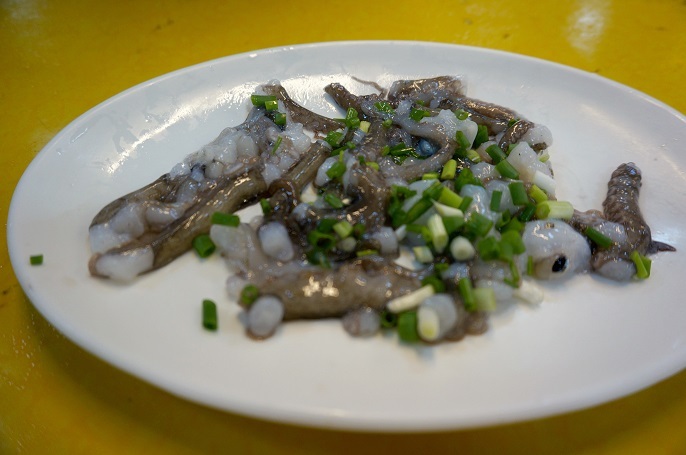 It's a raw dish, which the small octopus has been cut into small pieces while still alive. It served immediately on the plate and you will still see all pieces are still squirming on the plate. 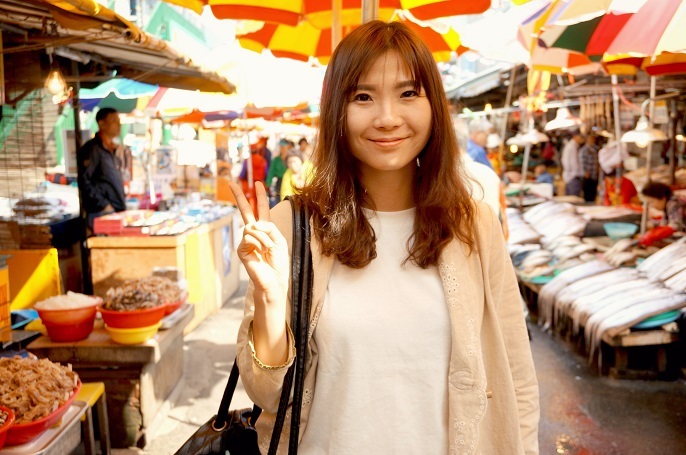 And I think your trip to Busan wouldn't be complete without visiting the Jagalchi Market, because of the #1 fresh seafood, #2 market environment, and #3 reasonable price! 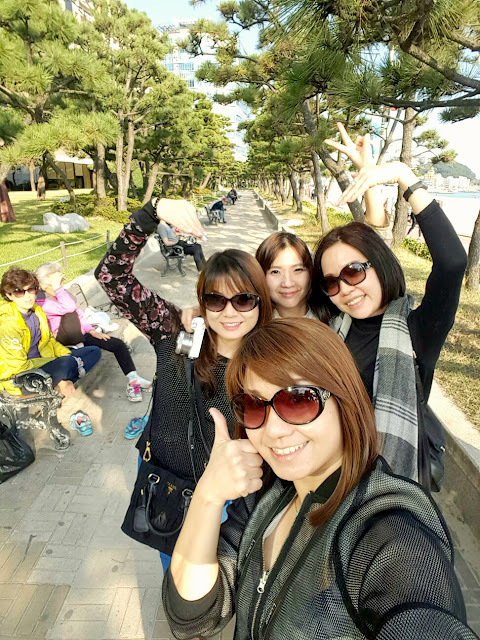 We also took a long ride, about 45 mins, from Jagalchi Market to the famous Haeundae Beach. The beach was a bit disappointing as it is not as interesting as what we thought it would be. Or I should say it would be a good place for relaxing here for a whole day but not just for a short walk unless you don't need a long travel time like us. 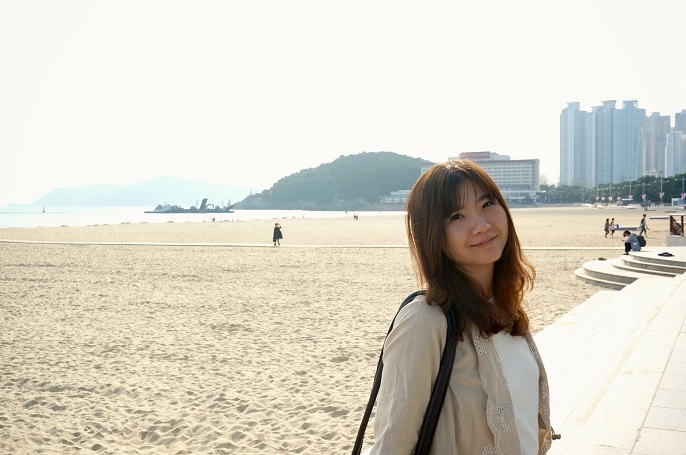 It's a peaceful beach, which probably because we came here during weekdays. I bet this place will have higher crowds and much more happening throughout the weekend. 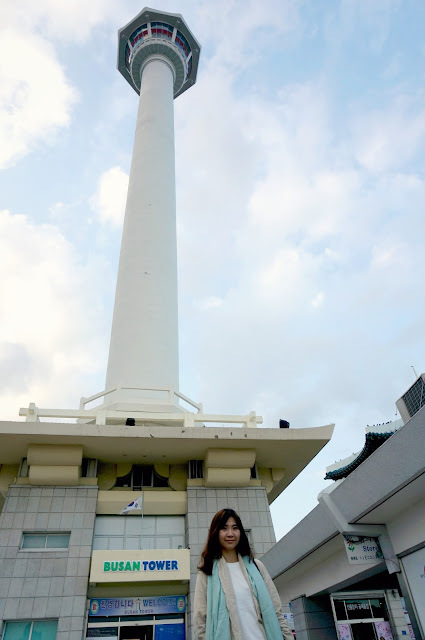 The last destination in Busan was the Busan Tower and Yongdusan Park. We decided to forgo entering the tower but just admire the tower from the ground. 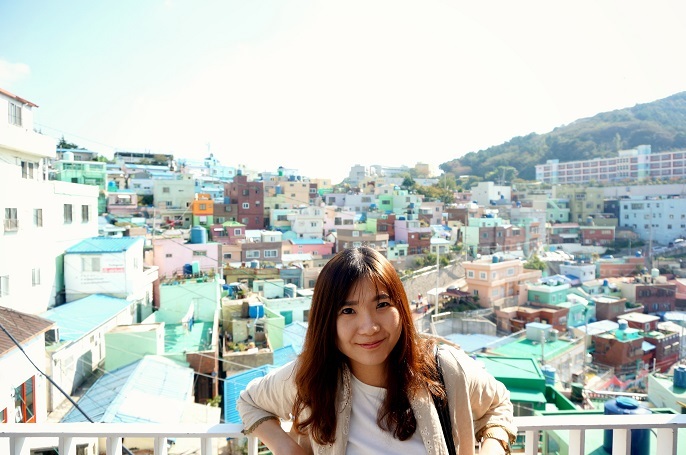 However, we are lucky that we found a good spot whereby we can have a panoramic view of Busan! I doubt we missed out anything since we really had a lot of fun there! We laughed loud and long, talked nonsense and took all funny pictures. Well, I trust that would be our most precious memories from this trip! 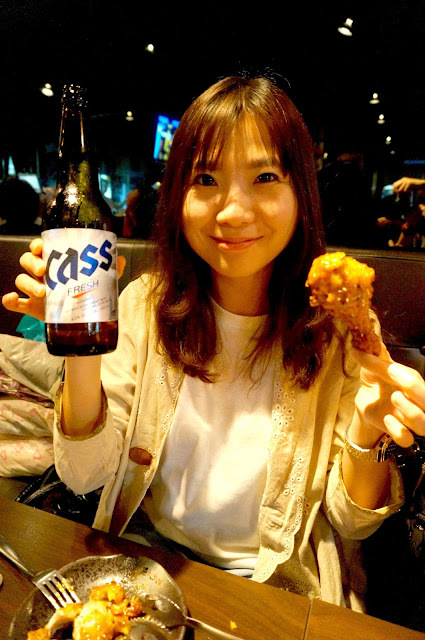 For beer lover, I want to introduce their local beer, Cass. 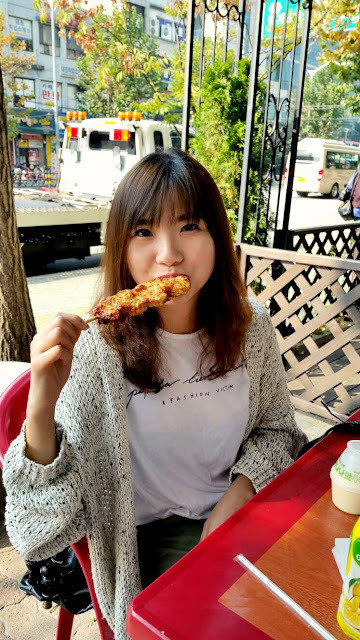 And for the chicken lover, you must not miss out the Korean Fried Chicken which comes with different flavours! I like the soy source and garlic flavour the most! 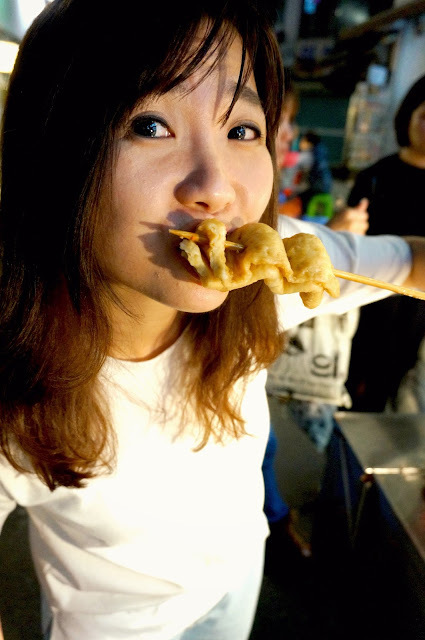 And, among all the local street foods in Korea, fish cake is my top favourite! 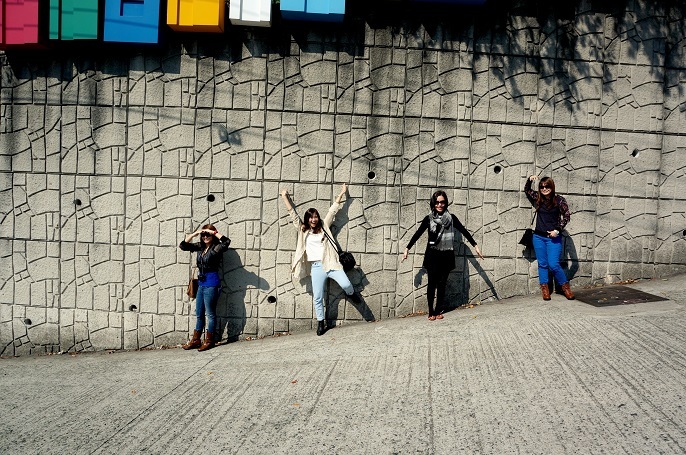 This is the best to enjoy on the street of Korea! We have been knowing each other since high school, and this is our first trip together after knowing for 23 years! 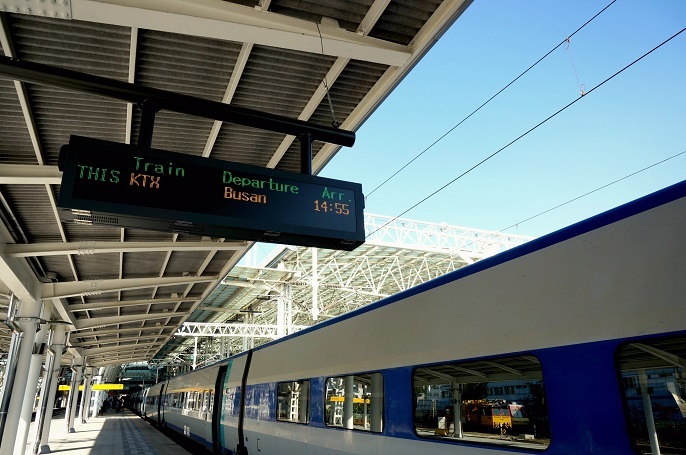 It took us about 2.5 hour from Busan to Seoul by the KTX express train. It's fast, convenient, comfortable and we all had a delightful experience with it. And, don't forget about the Banana Milk! 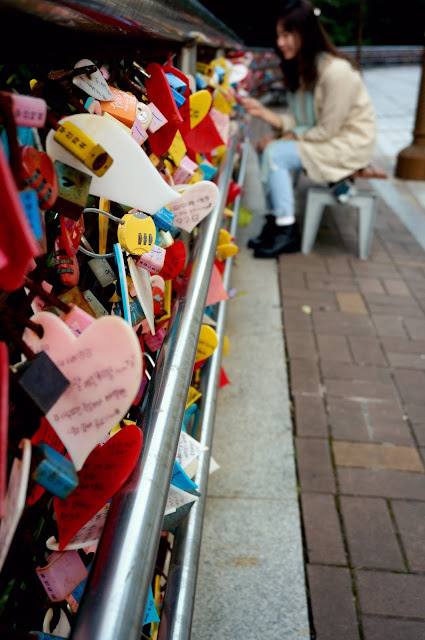 Since it's my second time in Seoul, we didn't spend a lot of the time at the attraction places. 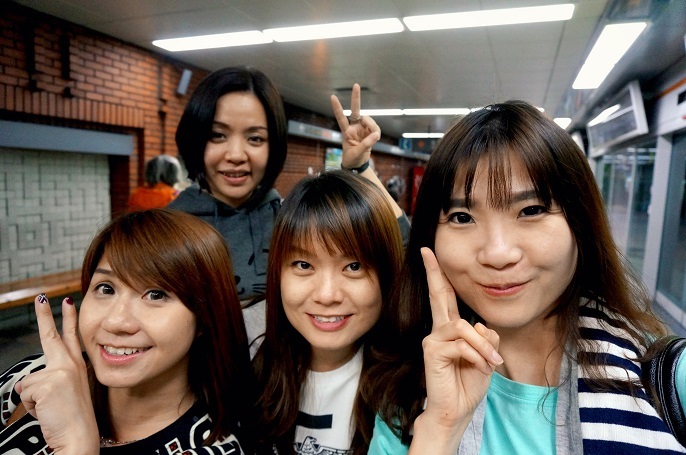 But, we visited Ewha Womans University at one in the morning. 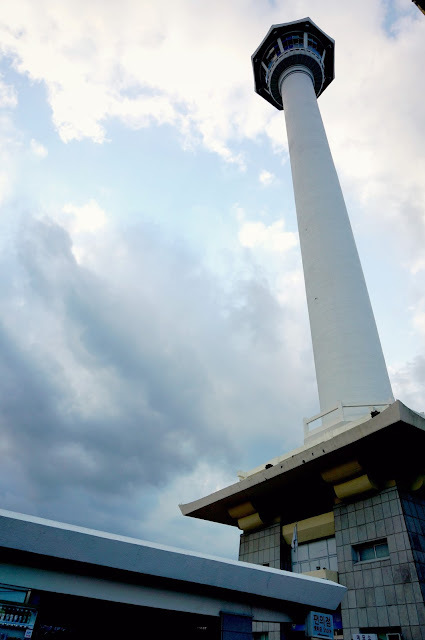 It's a very beautiful place to visit. Th building structure is unique, especially at the central and it definitely has a good atmosphere for studying. 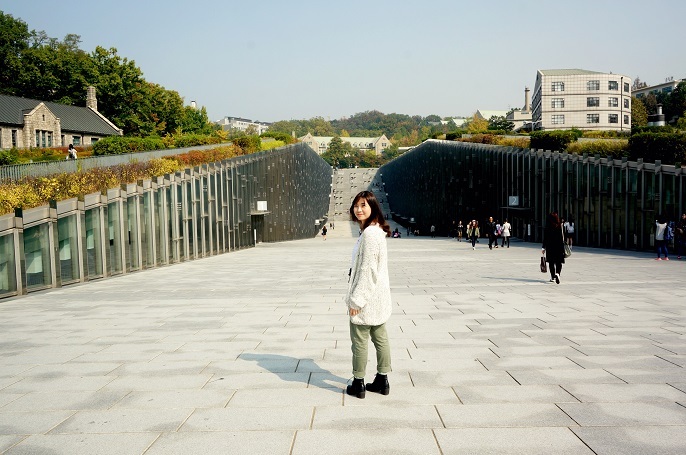 And the best thing about Ewha Womans University is, it has a nice Edae Street to do our shopping! 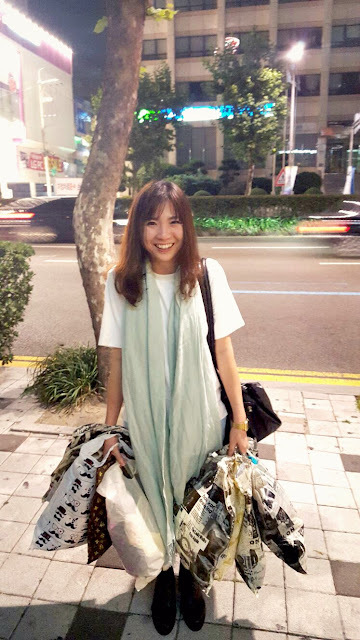 We find it is the best place to shop for clothing, shoes and bags in Seoul. We actually wanted to go back again but unfortunately no time after that! Well, next time perhaps?! #when? 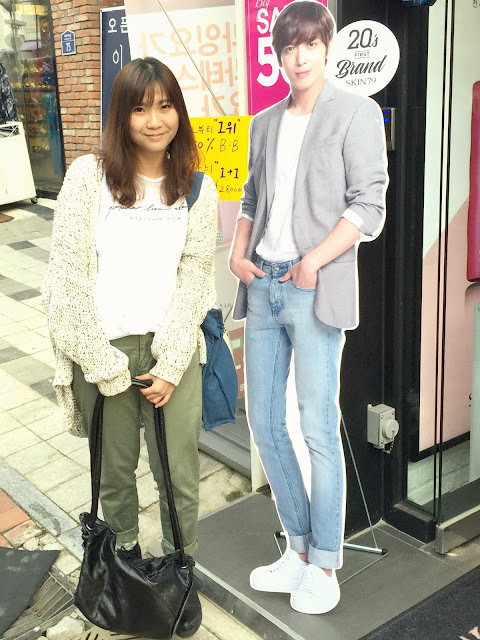 I am a K-drama queen! 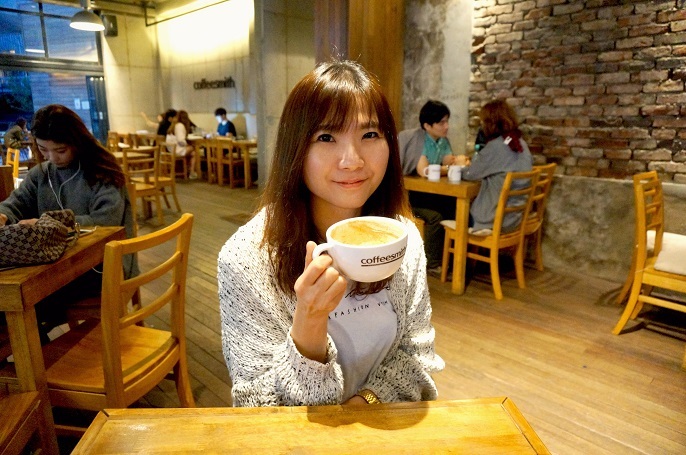 Visiting the Coffee Smith in Hongdae is one of the thing I wanted to do in Seoul. 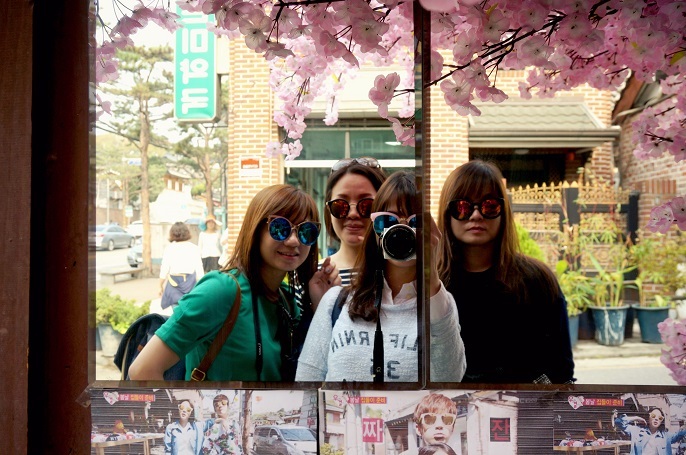 We were at the Bukchon Village on our 3rd day in Seoul. 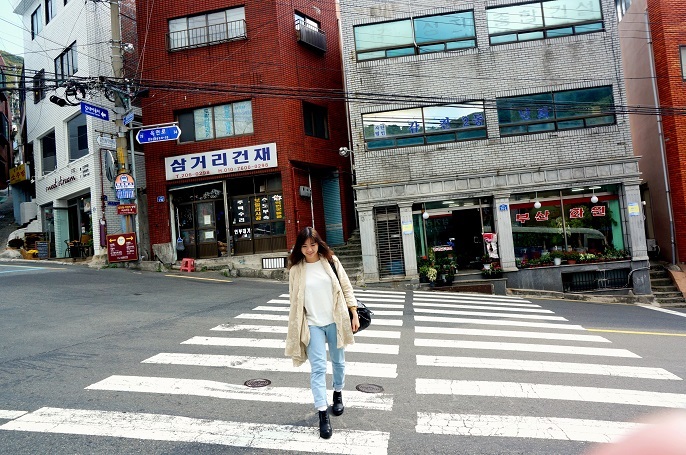 This is my second time traveled to here, and I don't mind to come back again because this small little place offer a pleasant walk around the traditional Korean style homes through the alleys. 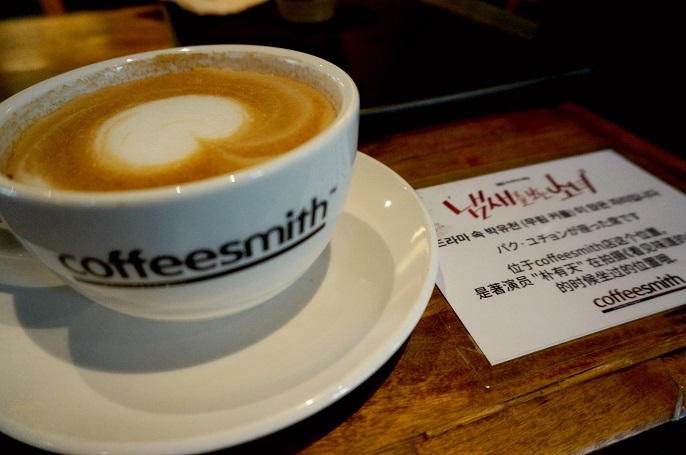 You will always find some surprises from this place as it has many hidden cafes, and shops around the area. 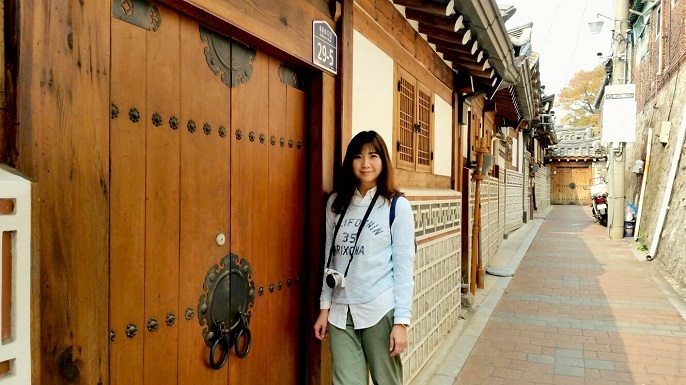 You can click here to read my previous post about Bukchon Village. 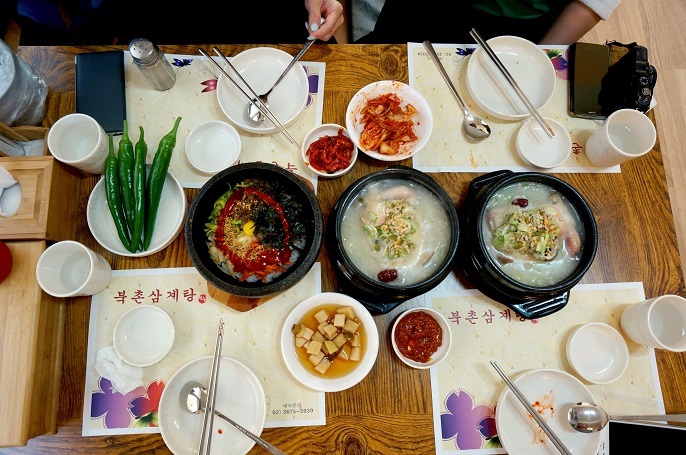 We found a very good Samgyetang (Korean Ginseng Chicken Soup) before we entered to the village and this is one of the best food we want to recommend after we came back home. There is an accessories shop outside the village which offers quite a reasonable price. Do not forget to drop by if you want to get any necklaces, hair accessories, ear rings or bracelets. 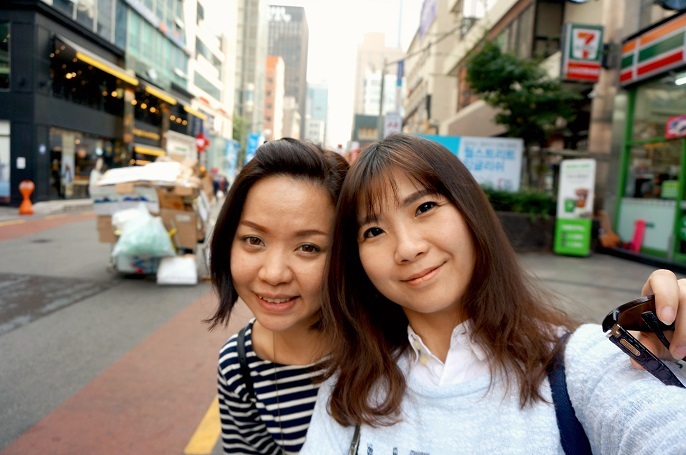 We didn't do much in Gangnam, but only for a short experience with the plastic surgery hospitals and also have some light foods over there. 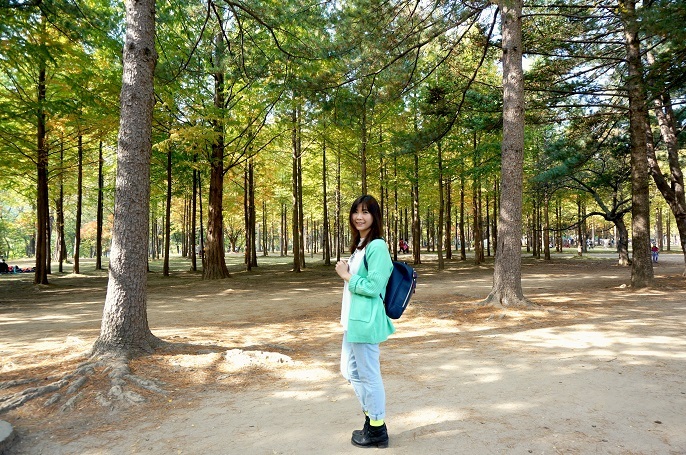 Nami Island, is far from the city. During my last visit in 2 years ago, I followed the tour agent and that's why I didn't realize it is such a long journey to travel from the city. 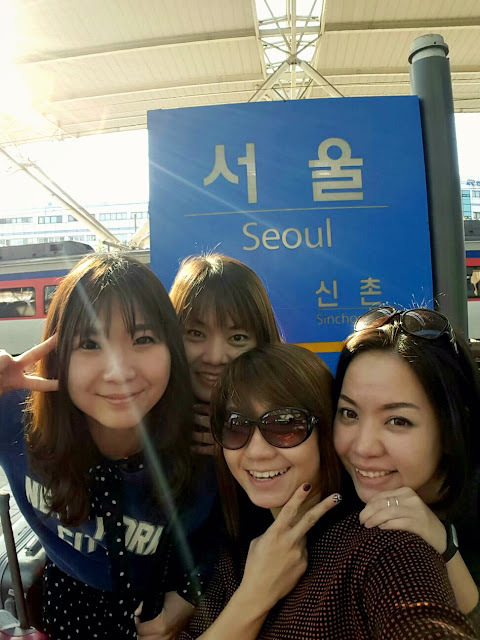 Lucky that the public transports in Korea are so smooth and convenient so that we can travel with hassle-free! 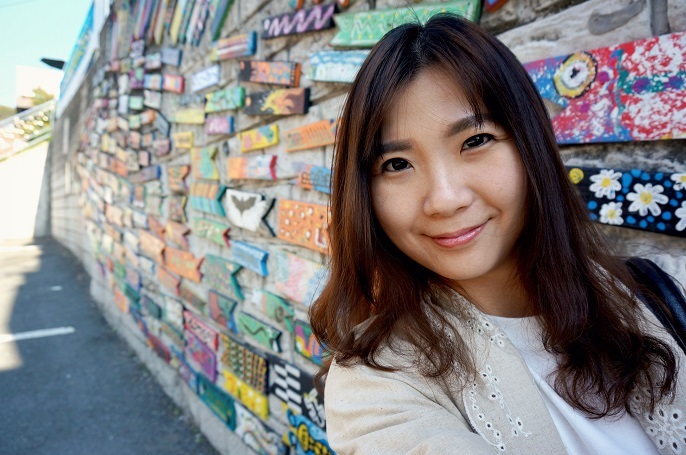 If you read my previous blog here, you would know how much I love Nami Island. 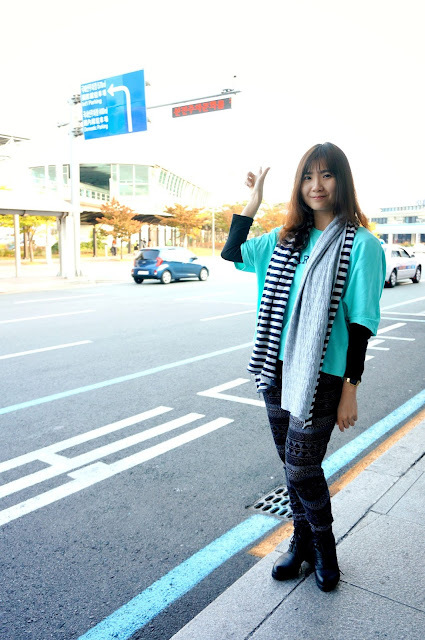 It's the first place that makes me fall in love with Korea, and I wish I could visit here in different seasons. 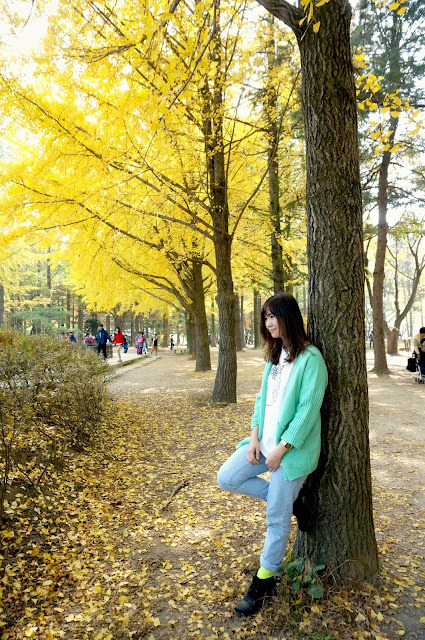 Although I visited Nami Island before, but I seen things with different views. 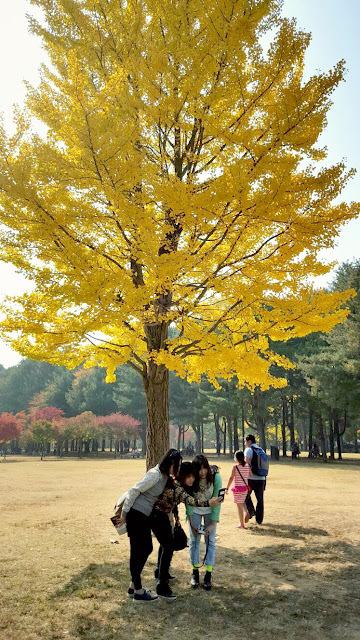 Nami Island looks much more beautiful and splendid during the fall season because of the yellow and red leaves from the trees. 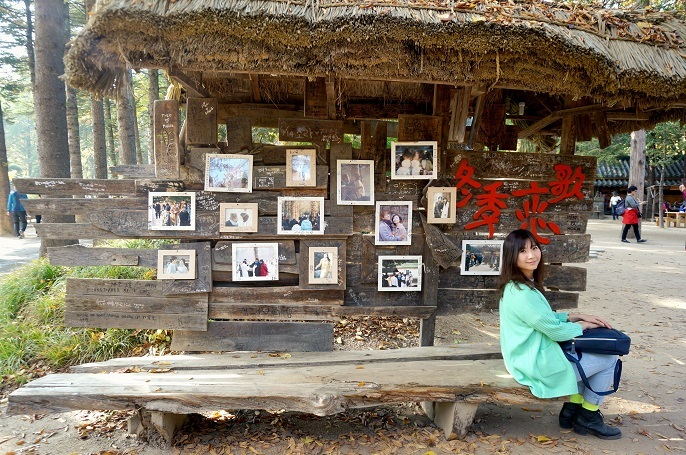 Another reason I like about Nami Island is because of the Korean drama, Winter Sonata. Remember? I am a K-drama queen!?! 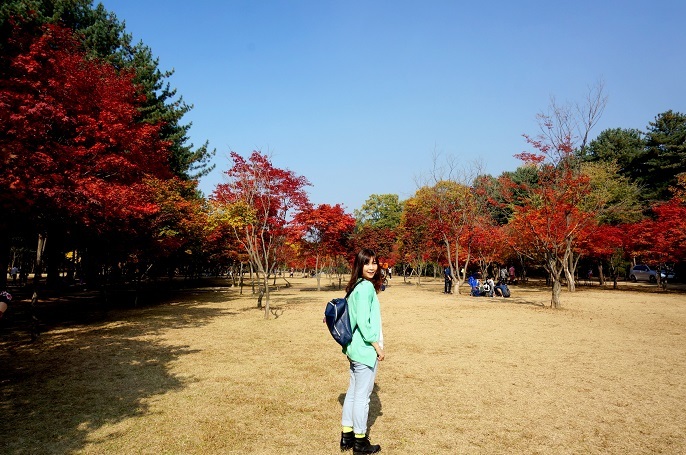 When you want to travel to Seoul, Nami Island always be the top of the list to visit. And you wouldn't know how much wonderful it is until you see it with your own eyes. 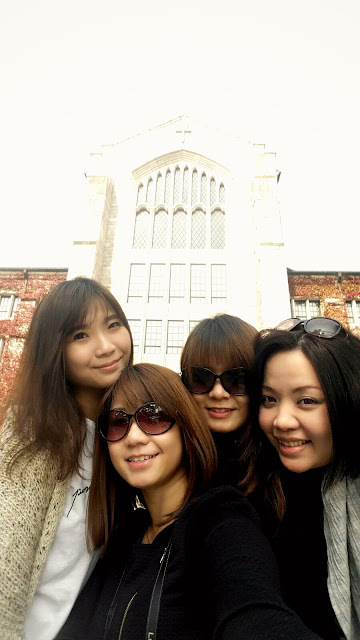 For me, travel makes me feel much more awesome if I get to meet up my friends in the country. I miss Gail so much ever since she left Malaysia. I lost contact with Tommy for a long time, and lucky that we got to connect through FB again . 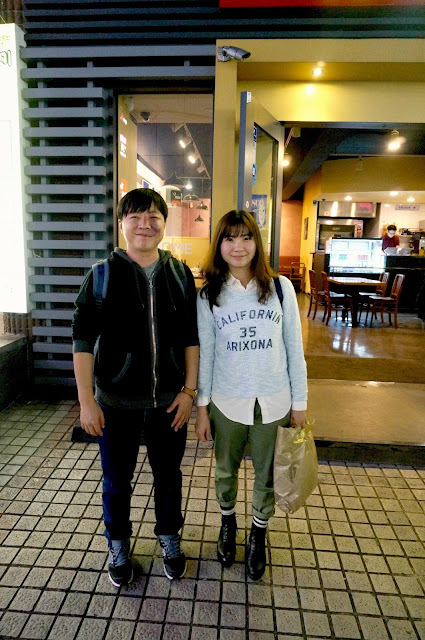 He is my first Korean friend since 17 years ago, while I was a little girl for him and he was a big brother for me! And now, he is a big daddy of 2 daughters! 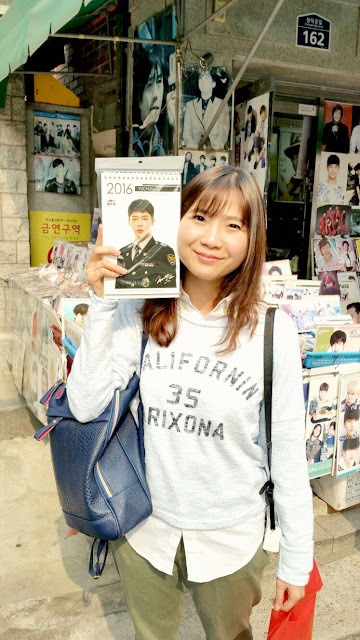 How can you leave out Oppa Maseong in Seoul? He is a big brother who always give me a big hug when we met up. 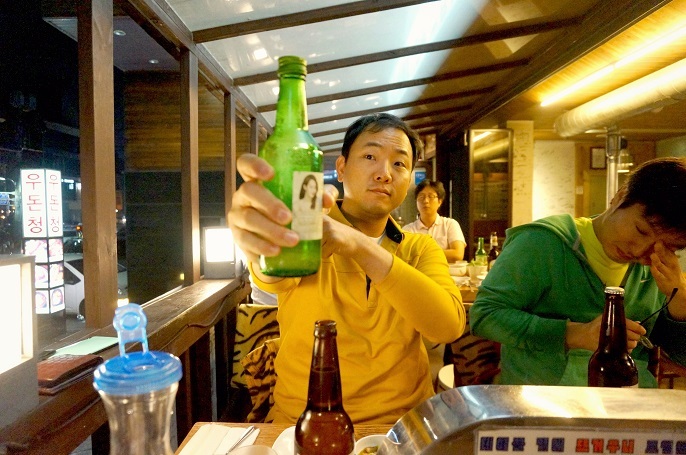 A very funny guy who always share all things about Korea with me! Kon is the brother of Maseong. He is fashionable, oh yea he is a violinist in Korea. He plays good violin and sing well, do check out his FB page here! Well, I think that's all for this post. I probably will do some separate posts especially those places that I never been during my first visit. If you are keen to know any places and restaurants that I have been, do leave me your comments ya! 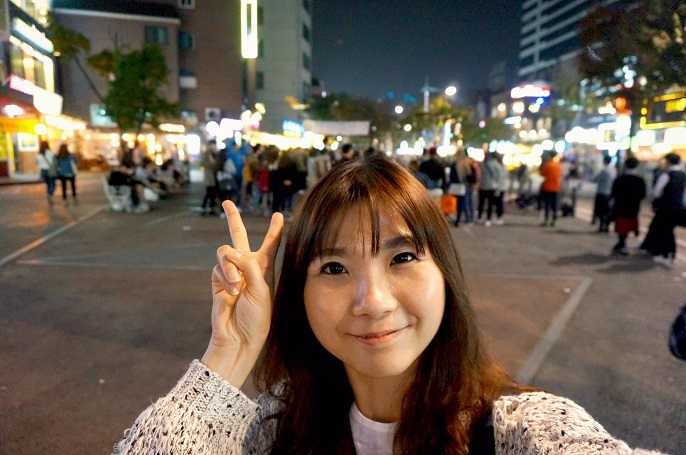 Meanwhile, I have a new travel vlog Hippo x Korea 2015 on my youtube channel, so yea watch it NOW!